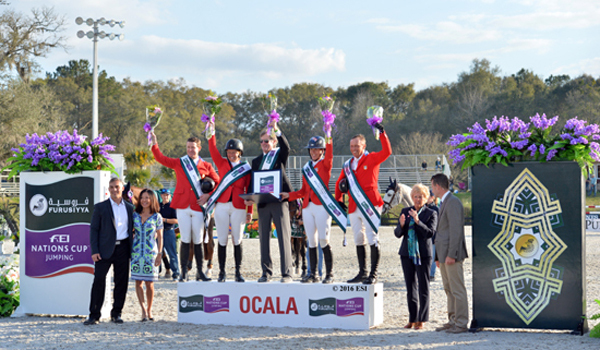 Ocala, FL (September 3, 2016): HITS, Inc. is pleased to announce that the USEF Board of Directors has selected the HITS Ocala Winter Circuit as the host of the Nations Cup CSIO-4* for the third consecutive year. The inclusive show schedule will continue to give additional opportunities to National and International competitors during February 14-19, 2017, the fifth week of the HITS Ocala Winter Circuit. The Nations Cup Jumping series is equestrian sport’s oldest and most prestigious team challenge, with national teams from around the globe competing for one of the most coveted prizes in this Olympic discipline. HITS has already begun working with the Ocala and Marion County local government, councils, and related groups to ensure that the event garners the same level of attention and support that it has in previous years. “With loyal support from Marion County and the City of Ocala, HITS will once again welcome show jumping’s biggest players to the Horse Capital of the World to exemplify our continued commitment to growing the sport for exhibitors and spectators alike,” continued Struzzieri. Consideration to host the prestigious event is reviewed by relevant USEF committees and the International Disciplines Council before advancing to the Board of Directors for the final decision. HITS believes the success of the event the last two years, both in terms of rider reviews, and local support was key to USEF’s decision to bring the event to HITS Ocala again. 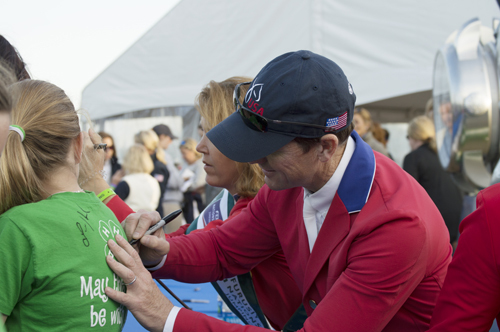 Last year, the 2016 Nations Cup at HITS Ocala garnered over 5,000 on-site spectators, as well as an unprecedented figure of national and international media attention. 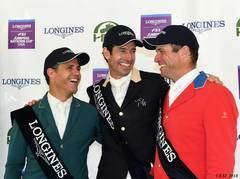 The 2015 event was ranked as the second highest in national and international media interest for its overall division in the official 2015 FEI Nations Cup™ Media Report. Throughout the Nations Cup Week at HITS Post Time Farm, HITS will offer an upgraded hospitality experience in the Overlook VIP Club featuring ringside seating, as well as beer and wine service and the culinary art of Executive Chef Giuseppe Napoli of The Tavern at Diamond Mills in Saugerties, New York. VIP tables are expected to sell out and reservations are encouraged. For Overlook VIP Club information and bookings, contact Chris Mayone at Chris@HitsShows.com. 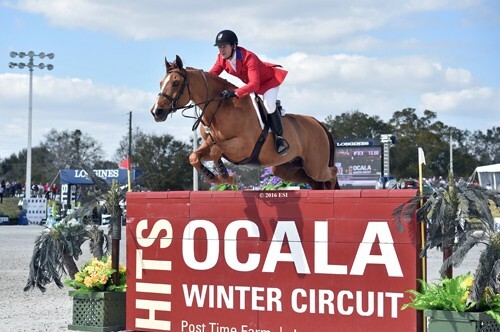 HITS Ocala will host 12 USEF-rated shows during the 2016-2017 season, with the Ocala Holiday Series running for two weeks, December 1-4 and 14-18, 2016, and the Ocala Winter Circuit running for 10 weeks, January 17 - March 26. A total of four FEI events will be held, including the Nations Cup, from February 7 – March 5. The Circuit culminates with the Great American $1 Million Grand Prix on Sunday, March 26. For the complete schedule, please click here. While hosting the richest weekend in show jumping at HITS-on-the-Hudson, HITS also formed the Triple Crown of Show Jumping. This includes the AIG $1 Million Grand Prix in Thermal, California, the Great American $1 Million Grand Prix in Ocala, Florida and the Saugerties $1 Million Grand Prix in Saugerties, New York.